How much does the statue measure? The statue of the Corcovado measures 38m distributed in 30m for the statue itself and 8 for the base. It is far from being the largest in the world as it is sometimes heard, it is actually much smaller than the Statue of Liberty which measures 94m. This impression of grandeur is probably due to its situation, perfectly visible at the top of a cliff dominating Rio. Does it have unusual dimensions? The answer is yes when compared to the usual statues: One hand measures 3m20 in length, head 3m75, its body has 8m50 in diameter, ... On the other hand in comparison with the other monumental statues, it is rather small. The head of the Statue of Liberty still does 5m26 and his right arm 12m80! What is his official name? This statue is called "Cristo Redentor", which means "Christ the Redeemer", translated from Portuguese. (Recall that Portuguese is the official language of Brazil) But it is also known under the simplified name of "Statue of Rio", so it is attached to the city. There are thousands of statues in Rio, but this expression invariably means it. It is also often confused with the mountain on which it is installed: Le Corcovado. Thus one often reads "The statue of the Corcovado", which is not false, but would we call the Sacred Heart of Paris "The basilica of Montmartre"? Exactly it is on the summit of the Corcovado, one of the many hills that surround the city of Rio. The choice of this one was simple: It was the highest, close to the city. Initially the designer was thinking of installing it on the sugar loaf, but it was smaller than the Corcovado. It is situated at the foot of the cliff, because in addition this hill has a cliff that faces the city. Installed at its summit, the statue impresses and reminds the inhabitants of the role of Jesus Christ in their daily lives ... for the believers, of course. You have 3 ways: By train, by bus or on foot. The recommended way is the train as it is the most typical and you cross the densely forested Tijuca Park, it is much nicer than by bus where, if the road crosses the forest too, it reveals less well to the eyes of visitors. Otherwise you can walk there too, you have to take a hiking trail that will take you there in about 2 hours. It is a good solution because there you will also cross the forest, but know that the path goes up a lot, you must be equipped at least a minimum. Learn more: How to get there? In fact when you visit the statue of Rio you pay two different benefits: The ride to the monument and its entrance fee. By train, both benefits are included with each other, you pay the full package. by bus, in the past you had to pay separately but recently it is no longer the case, you pay all at the same time also. The rates change regularly, so check the price on the visit page to find out. On the other hand if you climb on foot, you will only pay the entrance to the statue of course, which is much cheaper. The price is also on this page. Where can I take the bus? where is the train? 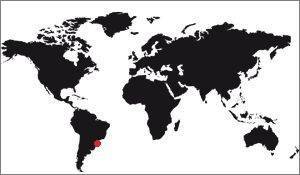 For the bus you have 3 places of departure: To the metro Largo do Machado, to Copacabana or to Paineiras. Rates differ depending on the distance. You have more details on the page below. Learn more: How to take the train or the bus? Is walking up a good idea? Yes, it's a very good idea if you can. The hiking trail begins at Lage Park, you will find it easily. The hike is initially quite simple but after a while the path really climbs, we must move slowly for those who are not used to hiking. But I reassure you, it is something that is done very easily. You will cross the forest of Tijuca, with the advantage of seeing, perhaps, some of its inhabitants that you will probably not see anywhere else. Be careful not to leave too late, it is not advisable to find yourself stuck in the forest at night. Otherwise, know that you just need a minimum of equipment: walking shoes, water bottles, snacks for cravings, and do not forget your wallet as you arrive at the top, you will have to pay entrance to the monument! Learn more: To climb on the Corcovado with feet? There are 2 million a year, or about 5,500 a day, which is why there are so many people there. Learn more: How to visit Christ the Redeemer? If the initial idea dates back to the 16th century, it was in 1859 that the project was really launched, but without success. It was abandoned again before reappearing in the early twentieth century. The statue was built between 1926 and 1935, after Brazil agreed to make a statue on the mountain of Corcovado. The reasons for the construction are numerous. The official reason was the celebration of the centenary of the Republic of Brazil. On this occasion the government of the time wanted to build a statue to commemorate this anniversary. It was a classic fact for the time, the statue of Liberty was supposed to commemorate the centenary of the United States and the Eiffel Tower the centenary of France. 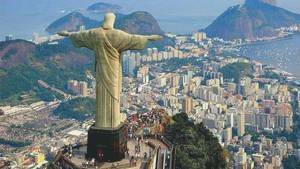 But the Brazilian republic, however Catholic, would not have chosen a religious statue. It was the Catholic Church that pressured to adopt such a statue. It must be known that Brazil is a great Catholic country, so it was not surprising at the time to have chosen such an effigy.